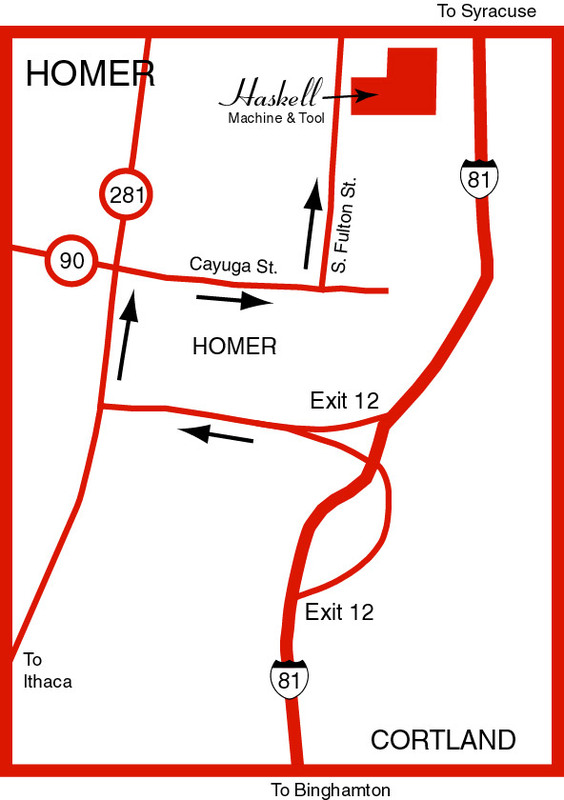 We are located in Homer, New York in Cortland County, about midway between Syracuse and Binghamton. Our plant is located just minutes off Rt. 81 at Exit 12. Contact us for additional travel instructions & local accommodations. 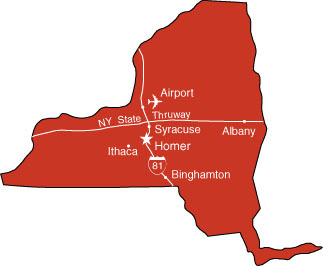 If you are planning on staying over, Haskell Machine is convieniently located within a five minute drive from many different accommodations, visit http://www.countryinns.com/cortlandny to see your options.